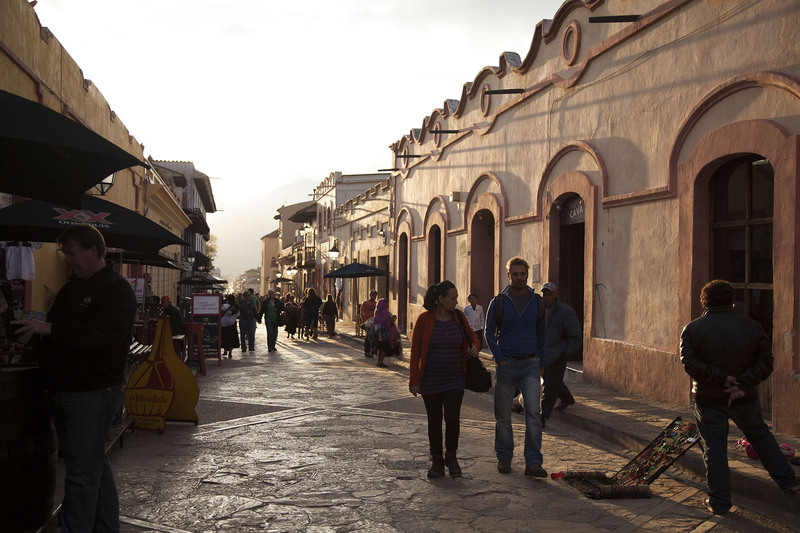 SAN CRISTOBAL DE LAS CASAS, Chiapas, Mexico – Their everyday presence is almost unnoticeable in this picturesque tourist destination they took over in an armed revolution 20 years ago. 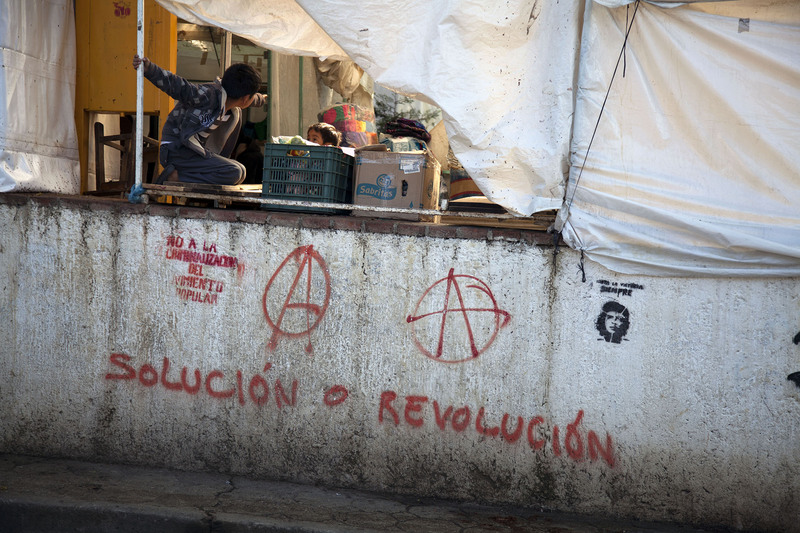 Children play at a market in San Cristobal de las Casas, where the Zapatistas staged an armed revolution 20 years ago. 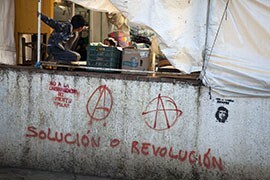 Graffiti sprayed onto the city's walls shows the contemporary influence of the leftist movement. 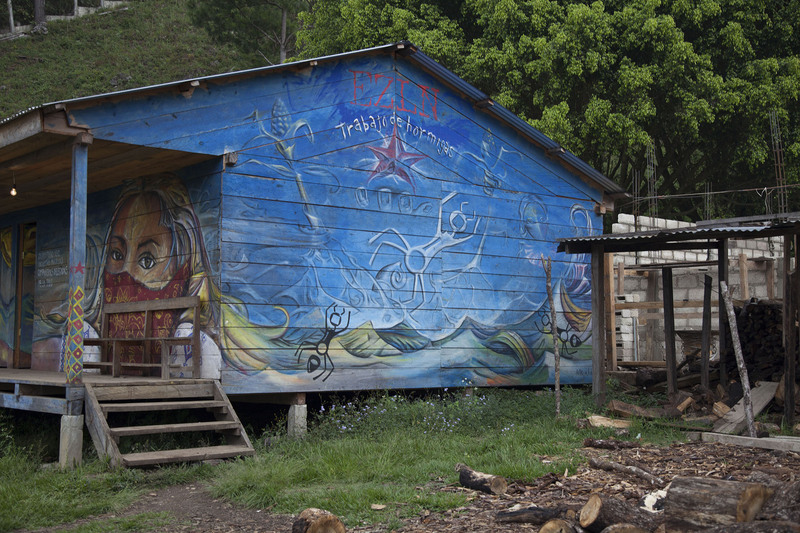 A mural at Caracol Morelia depicts an ant with the statement "Work of Ants," a recognition of the Zapatista belief in collectivity and community. 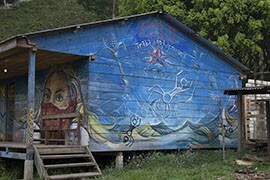 Caracol Morelia is one of five Zapatista communities in Chiapas. 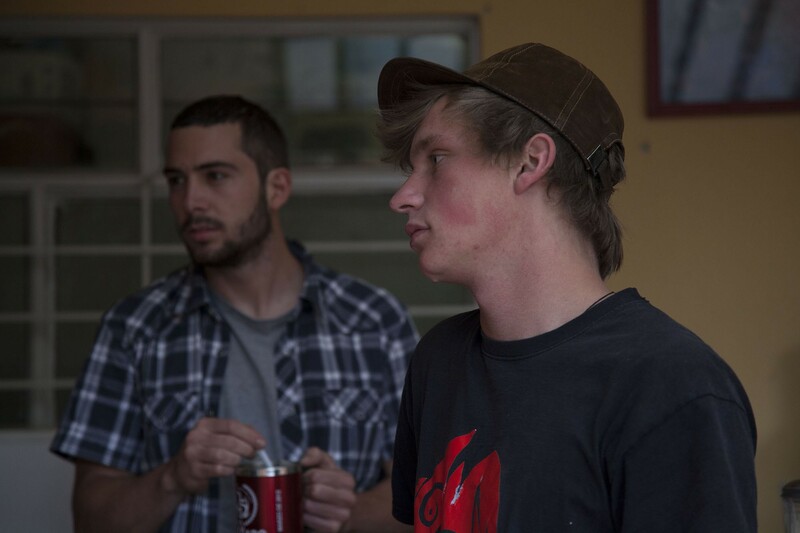 Marco Cavinato of Italy, left, and Julius Martin-Humpert of Germany came to the Fray Bartolome Center for Human Rights in San Cristobal to train in Zapatista communities as human-rights observers. 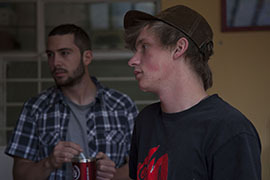 Both identify as Zapatista sympathizers and have studied the ideals of the movement. 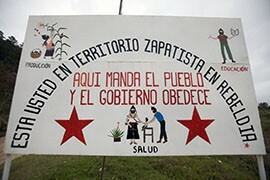 The sign at the gate to Caracol Morelia depicts the Zapatista lifestyle - production and agriculture, health and education. 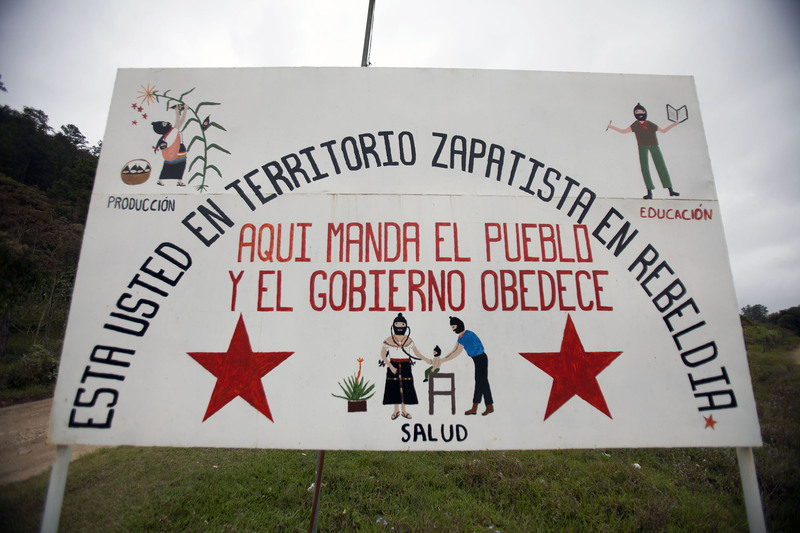 Visitors to the caracoles, the independent Zapatista communities, need to be approved by the Council of Good Governance before entry. 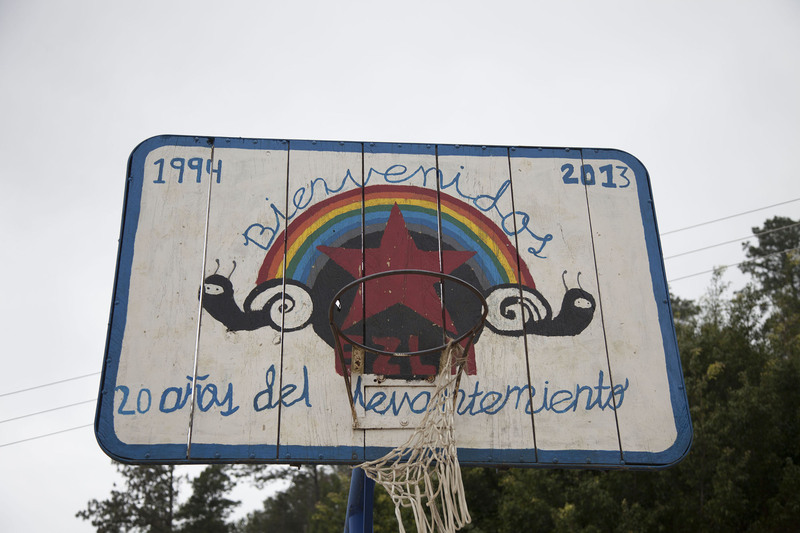 A basketball hoop in Caracol Morelia commemorates 20 years of Zapatista endurance. 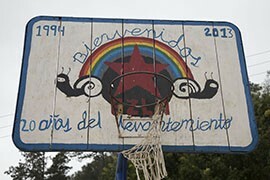 In 2013, the Zapatistas opened their communities to foreign visitors, inviting them in to learn about their way of life. 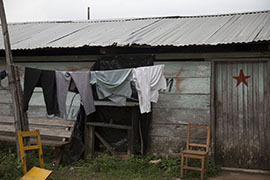 Clothes dry on a line in Caracol Morelia, one of five Zapatista communities in Chiapas, Mexico. 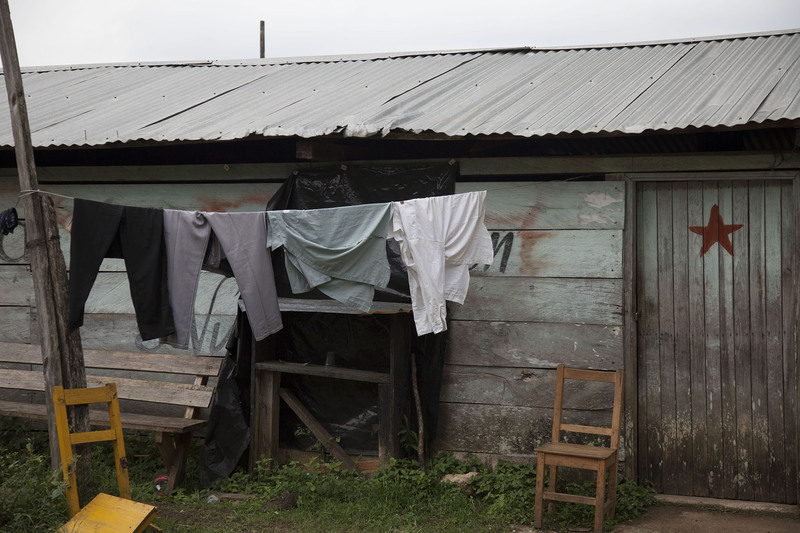 The Zapatistas refused to appear in any photographs. 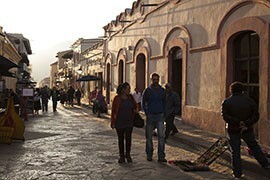 Tourists walk the streets of San Cristobal de las Casas, a popular tourist destination in Chiapas, Mexico, where the Zapatistas led an uprising against the Mexican government 20 years ago.